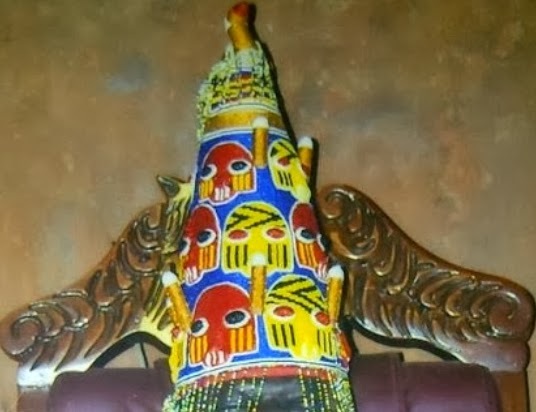 The corpse of a popular traditional ruler in Akure, Ondo State, Nigeria, Oba Adebiyi Adesida who passed away few weeks ago has been placed on his throne. 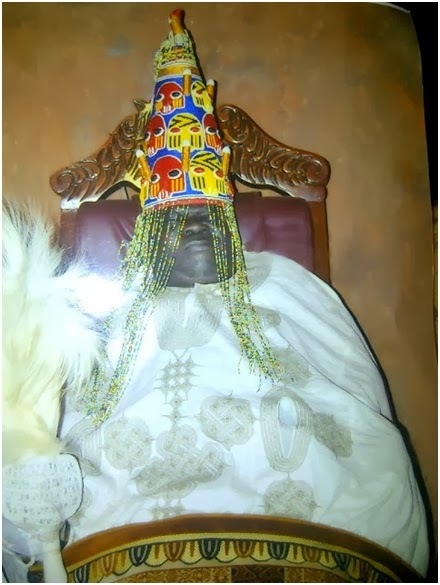 The dead body of Afunbiowo II, Deji of Akure who was reportedly killed by some chiefs over his position was placed on his High Chair on Tuesday December 17th, 2013 as part of the tradition in Akure Kingdom. According to tradition, this is a way to pay their farewell to the late traditional ruler. On hearing the news, curious residents of Akure trooped to Deji of Akure’s palace to behold the corpse of their late king. He reportedly passed away few weeks ago of an apparent spiritual attack that came in form of persistent headache. Unconfirmed reports claim he died of cancer. See Deji of Akure‘s corpse below. Viewers discretion is advised. Isn’t this a taboo in Yoruba land? This is why I can never marry a king. The fact that it is their tradition doesn’t make it right. In the Yorubaland if a King dies, people must be banned from seeing him. Ti oba ba waja, a kiiii wooo. It is obvious that if he had cancer and was complaining of a headache, he had cancer brain tumor . No one killed him. Did they carry out an autopsy on him ?